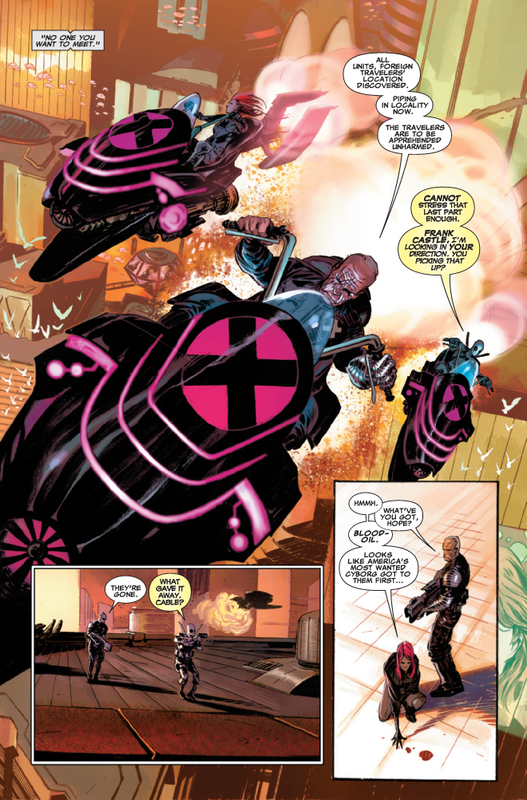 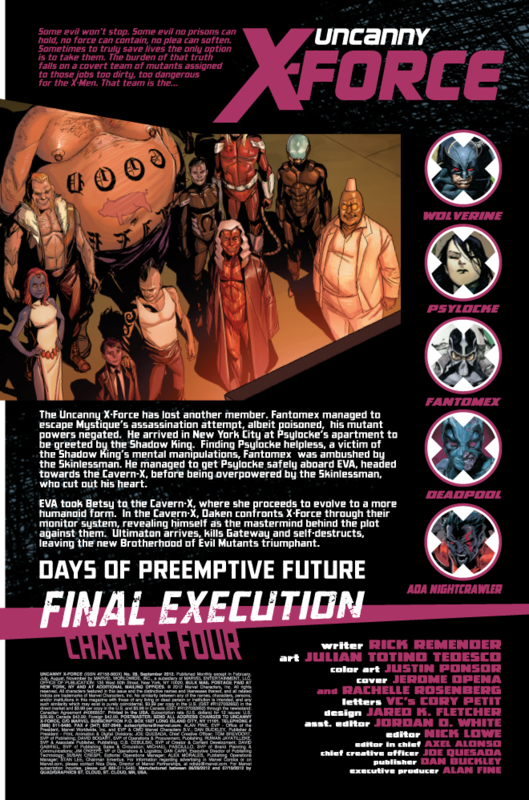 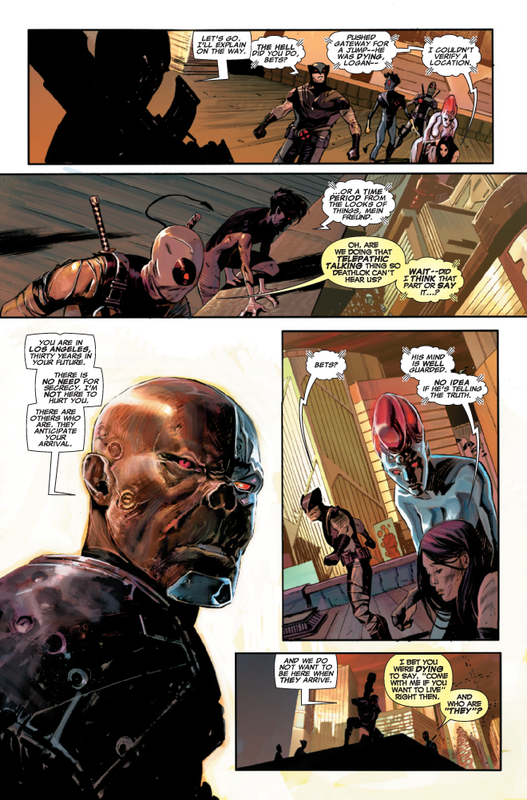 Marvel has provided the following preview of Uncanny X-Force #28 which comes out next week on 7/25/2012. 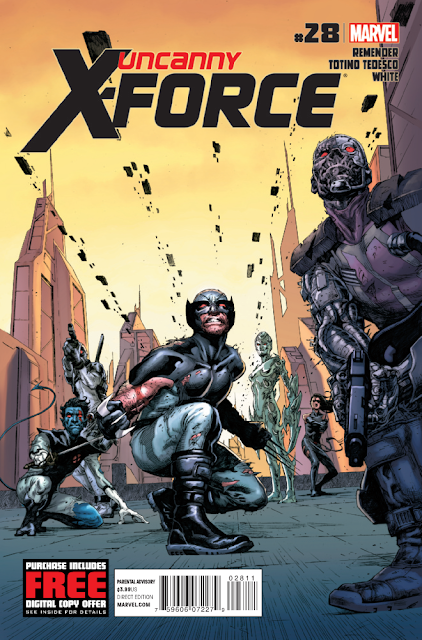 • X-Force land themselves somewhere you’ve never seen them. 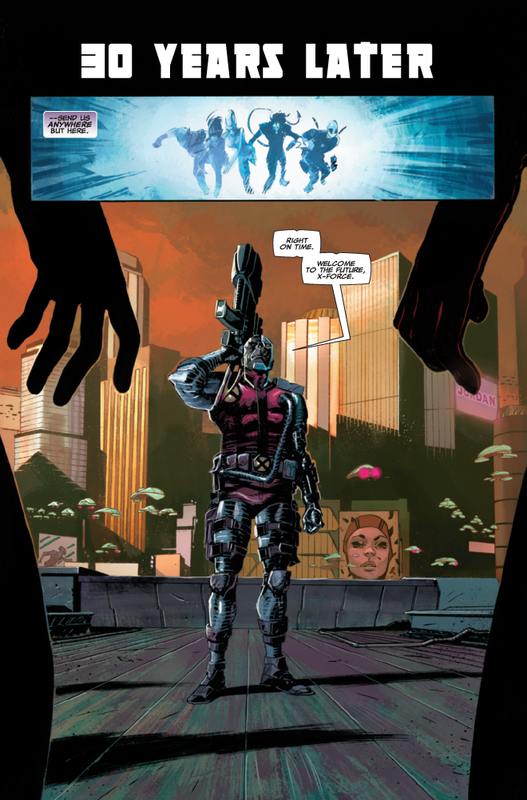 • A new member joins the team! 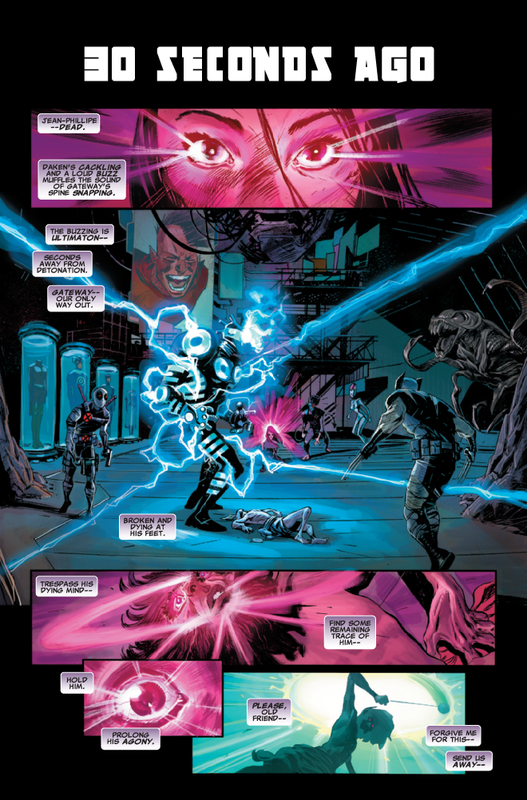 • Rising star Julian Totino Tedesco (VENOM: CIRCLE OF FOUR, JOHN CARTER GODS OF MARS covers) joins the best creative team in comics for two issues!